For the restoration of tired, worn and heavily used resilient floors including synthetic materials (PVC, CV, polyolefin), linoleum and rubber coverings. Loose dirt should first be swept or vacuumed away. Dilute Turbo Strip with water in a ratio of between 1:1 and 1:5 (depending on the resistance of the care-film). Spread the diluted cleaner over the floor covering with a mop or pad and let soak for 5-15 minutes. Use a scrubbing brush, or with Padmaster (supplied with Floor Care Kit), or Monodisc machine SRP to clean the surface thoroughly. Rinse and dry the soiled liquid from the surface with a rubber squeegee and absorbent wide-mop or preferably a professional wet-suction (e.g. spray suction with hard floor adapter, Premium F1/F2). Ensure clear water is used and the surface is completely dried. Coverage depends on the dilution from 1:1 to 1:5. Extremely damaged, tired and worn out floors, even in construction and building sites are restored, after restoring with Turbo Strip, simply protect with PU Sealer or PU Anticolor and clean the surface thereafter using PU Cleaner for the full restoration and long-term protection. Once the surface has been restored and later protected with a PU sealer, the surface becomes six times higher and longer term protection against friction damage and scratches, proven to extend the lifetime of floor use in comparison to conventional strippers and sealers. Do not let Turbo Strip dry out on the floor, therefore work in sections at a time. Before stripping, check the covering for colour and material consistency at a place that will not be noticed. 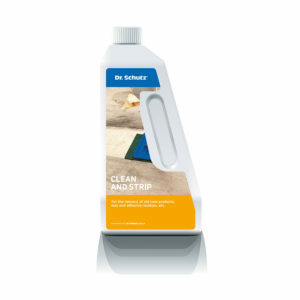 Especially important for rubber floors as well as moisture sensitive surfaces (e.g. wood, metal, furnishings). 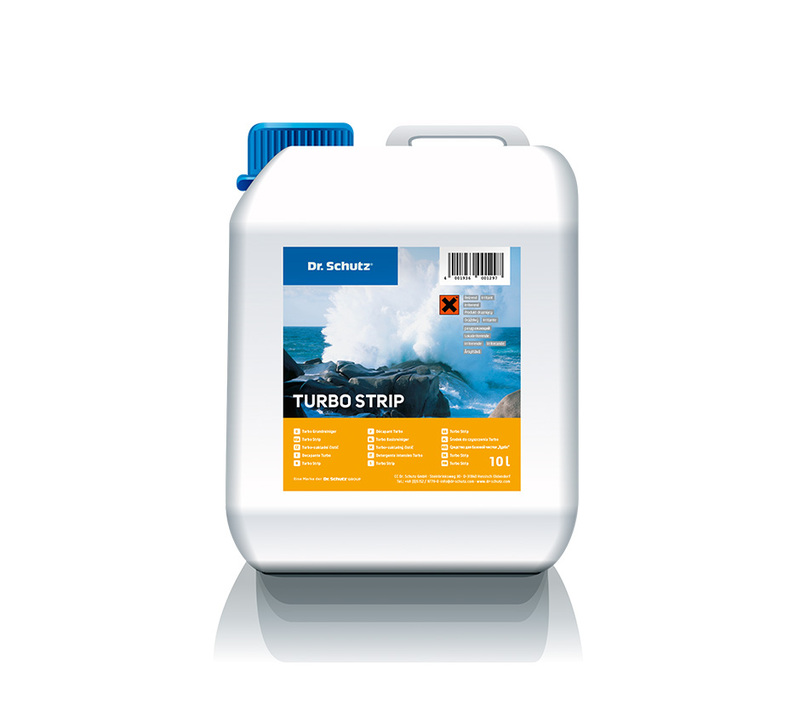 Turbo Strip is not suitable for floors sensitive to solvents (e.g. asphalt-tiles), nor for floors which have been coated with professional permanent sealants (e.g. PU Sealer, PU Anticolor). Please always observe the care instructions relating to specific floor coverings.